In the Author’s Introduction to “Writings about Music” (1974), American composer Steve Reich wrote, “You want to hear music that moves you, and if you don’t, then you’re not really very curious to find out how it was put together. 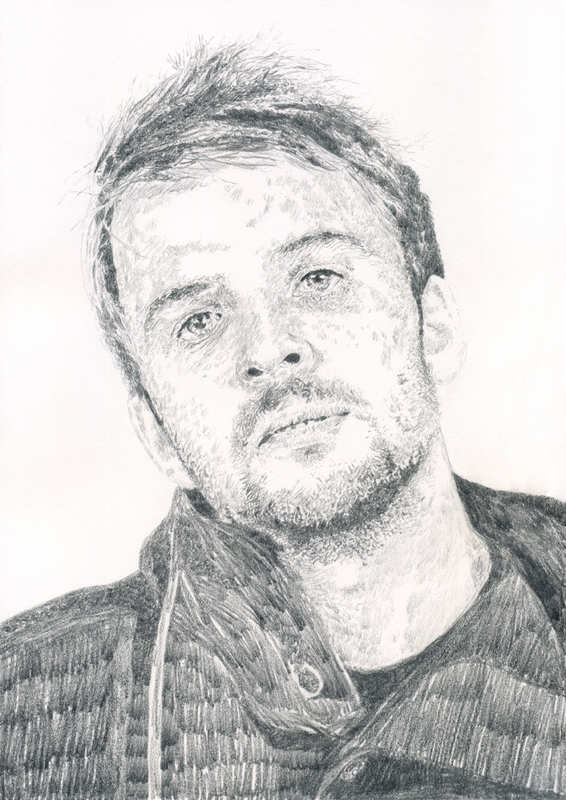 The truth is, musical intuition is at the rock bottom level of everything I’ve ever done.” Reading these inspired words from one of contemporary music’s true voices of wisdom, I felt this musical statement resonated powerfully for another vital voice in today’s musical landscape: namely Berlin-based pianist, composer and sound sculptor, Nils Frahm. Across a rich body of work – ranging from delicately beautiful solo piano works and intricately layered ambient soundscapes to otherworldly synthesizer-based compositions where synthetic and organic worlds are often blurred and re-aligned – the German composer has continually pushed the sonic envelope that has served to, in turn, expand our own thoughts on the art of sound’s endless possibilities. From 2013’s live document ‘Spaces’ to this year’s infinitely beautiful and deeply personal solo piano work, ‘Solo’ and the soon-to-be-released debut film score, ‘Music For The Motion Score Victoria’ (directed by Sebastian Schipper), an unfolding aesthetic development shimmers majestically amidst the sound waves like a dazzling sunlit sea or the dawning day’s first pockets of light. Transcendence abounds and we, the devoted listener, are eternally grateful for this simple truth. A piece of music such as ‘Them’ (taken from the score to ‘Victoria’) possesses the innate power to move you in a profound way. Frahm’s tender and exquisite piano patterns coalesce effortlessly with Anne Müller’s equally poignant and heart-wrenching strings to create a stunningly beautiful and enlightening musical journey. From the opening angelic tones of ‘Ode’ to the engulfing ripples of ‘Four Hands’ on the album’s fitting close, ‘Solo’ indeed invites our fears which ultimately invites the audience to bring their own emotional life to it. The album’s penultimate track – and longest cut – ‘Immerse!’ is a tour-de-force of striking intimacy that conjures up the mystical and sacred sounds cast by Keith Jarrett’s legendary 1975 Köln concert. A timeless sound is effortlessly unleashed by Frahm, when mere moments previously, the hypnotic, pulsating notes of ‘Wall’ radiates like pulses of the human heart. ‘Solo’ is available now on Erased Tapes Records while ‘Music For The Motion Score Victoria’ will be available on 15 June, also via Erased Tapes Records. Congratulations on the new ‘Solo’ album, Nils. It’s a really incredible album. 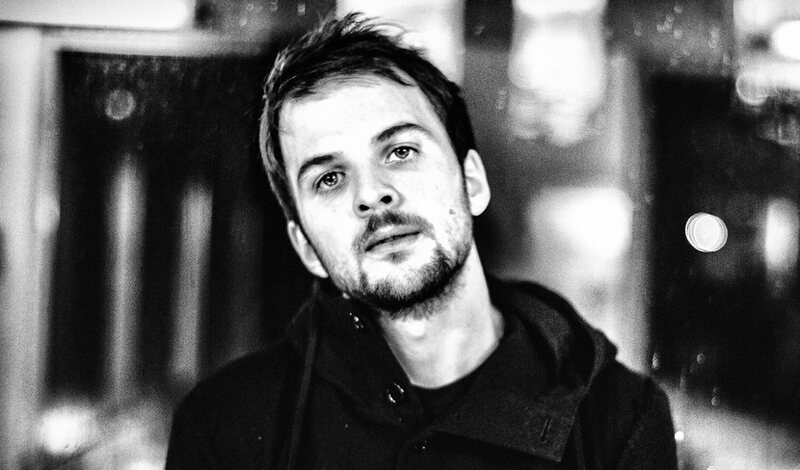 Nils Frahm: Thank you so much. I’m happy you like it; that means a lot. You spent just four days recording ‘Solo’? NF: Yes, we were recording for four days with the piano. It was one session and then I mixed and compiled everything. It was last summer I think, I had it finished for quite some time and waited a little bit to see if it stayed being good. I love how there’s little traits inside the pieces of music that you feel some may belong to ‘Felt’, some feel more like ‘Screws’ where there are elements of certain pieces that go back to a certain time. NF: Yeah, I revisited some of my ideas and made new ideas out of them and some songs were inspired by others which I hadn’t really put out yet and some are completely new songs. It was really about the sound of the piano and this kind of sacred moment with this instrument which is really special. I’d love for you to discuss that particular instrument. I saw some lovely videos of the Klavins 370 model and the stairs you go up. It must have been wonderful to play it. NF: Yeah [laughs]. It’s quite a way up! Once you are up, you just start to play it before you go down again. It’s different with a normal piano where you can just get up and walk away again. But when you walk up there, you are up and then you play and it already makes it special like that. It was timed so well to release the new album with Piano Day and what a beautiful idea and concept this celebration is. It’s amazing that nobody has thought of it before. NF: Sometimes you are lucky when you have a little idea and then you know you can actually make it happen. And when I found out that there was no particular Piano Day declared at any point, I thought let’s give it a try. 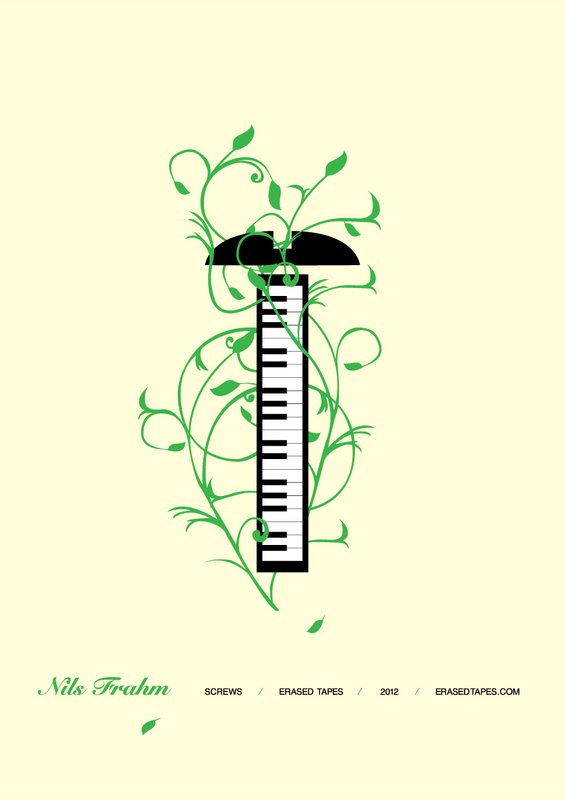 It’s almost not necessary because the piano is very popular in the moment but I simply wanted to make an occasion for people to finish their piano work, for example and share them and give people some kind of deadline to work on some of the piano projects and to share them with us. And I think it’s always helpful for people to have a certain goal and once we announced it people were getting creative and they shared all their songs with us and we had the soundcloud playlist, which was wonderful to listen to and it’s really exciting that some of these people who usually don’t get much attention and then all of a sudden get some attention and some new fans. I think it helps people who don’t have so much experience in trusting their work yet to get more profoundly enthusiastic and interested in their own work. And for me, it was simply good to have an occasion where you could make a present because when you have a holiday it’s usually connected to the idea of making presents and I wanted to give the album away for free because that just works in general. I think it’s a good idea to make people download it from the source and if they want to donate they can. A lot of people just download the mp3 that’s inside the record anyway and come to the concerts. It was just like a silly little idea to give the present a specific reason and on the other hand I wanted to make people do the same; to share their own piano-based work with all of us and give it away for free and make it accessible. So in general, I like this project where there is a give and take and a nice trade of ideas and all that pays back on all kinds of other levels, I think. Oh yes, of course. Like you say too Nils, I loved how during that week or two, there was so many wonderful new tracks surfacing. It made me think also how over the last ten years or so – and if you just think of this short space of time – there’s been so much amazing music, based on the piano and in this neo-classical realm. It’s been a wonderful few years for music. NF: Oh yeah, of course, of course. We are familiar now with the whole thing. If I had done this earlier it would have been too early and maybe in the future, I’m interested in other things. So it was just the right moment to make this album accessible and also play a little bit with the whole conception of releasing albums like artists release albums every one or two years and there is a review and an add to cart button and then you feel like you should compare the record to some other record. Usually people do that very fast because their minds are conditioned in that kind of almost judgemental way. There is a Beatles discussion like ‘Oh which is your favourite album?’ and well you know I am happy that all of them are there and the same with other big bands and influential bands like let’s say ‘Oh what’s your favourite song of Radiohead?’ I never liked these questions; it’s almost like ‘What’s your favourite kind of wine?’ I love wine because there are so many different kinds and I love artists who start a little bit from scratch on each project they are doing and make it not just another record and another record in the same fashion so people feel very intrigued to compare them but to give each record a strong identity, a strong idea and of course from music which is most important in the end but also to make these records exist under their own standards. So I only heard one comment so far where somebody said ‘Oh I like ‘Spaces’ better’ and all the other comments were not about that which is so fantastic. It’s really hard to compare ‘Solo’ with a record like ‘Spaces’, they were completely different musical projects for me and there were different parameters and I like how the people when I release a record like this with a story and with identity and a kind of conception then people start to see there is a new idea. And it’s almost unnecessary to give this record any rating because people can listen to it in five minutes and just press the download button, they listen to it themselves and since you’re not urged to buy it or not pushed to buy it you don’t really need people to review it. And it makes the buying decision easier because there is no buying decision. So on different levels we were trying to also play with the whole marketing concepts and the old path of music distribution and I really enjoy all these elements in the reviews and write-ups which is not so much about the music but it’s obviously a wonderful piano record which I agree, I like it myself otherwise I wouldn’t have released it but on the other hand, there is so much else to say and that is the stuff where it is good to write about it. It’s really difficult to write about music sometimes and to describe every piece and to just describe a record in words which is really difficult but it’s quite nice to give to people who want to write about this some meaningful context to work with like Piano Day or the whole 450 Piano building idea. These are stories which are easy to write about and also good to write about and the actual music should just be listened to, it’s a very personal record and I would be very disappointed if people would rip it apart for any reason because for me it’s one of the most personal things I’ve ever done and the most radically me sounding thing, just a record that I did for myself and that’s also the reason why it had to be free because I don’t want to sell myself. I love how ‘Solo’ begins with the track ‘Ode’ and the slow, meditative chords that feels like the perfect opening piece. NF: Yeah, this is more elegant and grown up sounding than some of my other stuff which is a little bit more romantic or harder to listen to or something. With a song like ‘Immerse’ – the album’s wonderful penultimate track – I wonder did it blossom over a long period of time? NF: Yeah that’s the personal stuff that I was taking about. For me that song is a song which is just in me which I will play in different versions all my life. Sometimes you know this already and sometimes you just make different versions of one song and this is a very important song for me. This song is basically my dialogue with the world and living and the reflection – like the most broad reflection – of what resonates with me and this song had to be on there, this song is the centerpiece and it comes in the end because it sounds heavy and I want people to be relaxed when they experience this song. And I love how ‘Wall’ comes just before it. There is a wonderfully cathartic feel to the piece and how it builds and builds and how it works and goes into a song like ‘Immerse’. NF: Yeah, for me the playlist or sequencing of the record was where I spent most time with experimenting because it wasn’t really obvious which order was the best one and so I had a lot of versions – like eight different versions that I was listening to for some time and changing things – and in the end when I heard the version you know now this was really meaningful in some way, when you have to decide A of the vinyl being really quiet and B is overflowing and in many ways it was a lucky choice to make the sequencing like this. For instance even Robert [Rath] from Erased Tapes, he helped me with the last final tweaks and he said ‘Oh I think this song should be first’ and so he put ‘Ode’ in the very beginning which knocks on your door and says ‘Hello, here I am’ and so it’s beautiful in that kind of way. It’s very interesting too what you say Nils about giving the music for free – and something similar to ‘Screws’ – but it works so well because the physical ownership of the album counts for so much too and to have the beautiful artwork so it only comes natural that fans would seek this out as it’s not enough to have it just as a download. NF: Yeah I mean this is what we trust the fans in and this gives us an advantage because we don’t try to prevent crime like illegal downloading and all this energy that you would put into preventing leakage and having music being converted to bad mp3 quality and be put on a server or something. This you can only avoid if you just do it yourself with your way and of course we spend so much money on special paper artworks and all these things that people want to have one of my records and feel like ‘oh this is a collectible item’ and most of all I trust that this record – and I hope all my records – are records which you don’t want to sell after five or six or seven years. I mean there is a lot of music which you totally have to say goodbye to after a while because maybe they’re dated. I mean imagine if you’re a drum ‘n’ bass DJ and you have all these early kind of cheesy drum bass records and you really don’t have any parties to play at and what do you do with it? Maybe you have to throw them all away at some point and you feel like you shouldn’t buy that many vinyl records when I’m not sure I will spend time listening to them. But why I am confident that people will buy the record is that we are trying hard to make it a product which lasts, which is sustainable and which is also interesting after a couple of years and maybe even more interesting. So hopefully that makes sense in the conception of giving things away for free on one hand and on the other hand, trusting the people who actually want the physical item because they may want to give it to their kids at some point or something. As time goes on and you pass the point when a particular record was released, memories and music are always intertwined as well and saying that, you can get new meaning and perspectives from any of your previous albums any time where there is always something new from an album like ‘The Bells’ for example even though it’s one of your early albums. NF: Yeah exactly. Since ‘Wintermusik’ and ‘The Bells’ and my solo records, I imagine they will all age gracefully . . . hopefully [laughs]. I must ask you about the Klavins 450 instrument that is being made at the moment. It’s an amazing venture and creation in itself. I would love for you to discuss the collaboration between yourself and David Klavins? NF: David is of course important in this whole release and the future, and the next couple of years. I just love him as a person and he is very, very wonderful and I would even say a wise man, fun to be with and really great to talk to and most importantly he’s a fantastic and talented engineer who is absolutely fearless of challenge and fearless of failure. He reminds me of myself in many ways, I think it’s a mutual thing and we fell in love with each other [laughs] in some way. So he built this Una Corda piano for me – a small piano which I will be bringing on tour – which was the first project we worked on together. And since it was a full success I didn’t have any doubt that we should try a bigger project. And of course the 450 is almost too big of a project – and I would say it is too big of a project – and I think this is also why nobody would really invest in it or nobody had the balls to do it. Since I know the prototype, the 370 and love it to pieces and I imagine the recording of ‘Solo’ proved that it’s a wonderful sounding instrument with quality no other piano really has. I thought it would be a shame if we missed this opportunity to realize this piano because on the time there is a limit, David is already sixty-two and of course in ten years, he’s not sure if he could make a big project like this and for him time is running out as well and I felt like OK maybe I’m the crazy one who has to make it happen because I can’t imagine anyone else putting the money on the table and realizing it. So in the end I was the one who had the infrastructure to realize the project and do also certain part of marketing. I always love to talk about things I really, really want to support and this is something I truly, fully believe in. The conceptualization of long, long piano strings is a very good idea and we’ll find a very beautiful and humble economical way of making this big piano happen and everything on the piano will be for the sake of sound. It won’t have any compromises that all other pianos will have and I feel like it’s striding for something like a completion in some way and I feel like if I want to take care of the piano while I’m here, it would be that one. I need to take responsibility for the financial part, I have two years now to make all the money for it and most of it I probably have to pay out of my own pocket but if it’s done I would really like to find a room for it and build a studio around it, to make wonderful recordings and have as many people get access to that and make it part of piano festivals so people can experience it and after I’m gone, I want to donate the piano to someone or some better cause like a wonderful institution maybe or museum or whatnot but it should definitely belong to the public and as long as I’m here, I will take care of it and make sure a lot of people will have fun with it. That’s the beautiful thing too Nils with a project like this and how it’s being promoted, it feels like all the fans have their own part in it too. NF: Yeah this is my idea of group effort. Nobody has so much money to buy it themselves and if they have too much money, they should give it to people who don’t have so much. If I would be able to pay this right away with no questions asked out of my pocket, I would wonder that something is wrong because this is too big for one person and this is a shad effort. Basically something that is owned by humanity let’s say, I mean when people started building big bridges and they started building the Eiffel tower or let’s say they built a big planetarium with a monster telescope which are bigger than anything before; there always had to be one crazy person who had to believe in it so much to make it happen and I like that idea in that respect. In this project I’m the crazy one who tries to convince everyone else, let’s make it happen, let’s make it happen. So far, it looks like people get the point which is a big relief and also great to see. It’s cool too Nils it reminds me of those stories of people with synthesizers some decades ago and how they would collect all these parts and how it would take up a huge room or even a house. NF: Yeah, yeah and they were expensive already and of course someone had to believe in it so much to just reach out for something unknown and uncertain risking that it could be total failure or maybe actually totally amazing and I totally love that look to gamble in that way and just imagining something, believing in it, seeing that it’s purposeful and makes sense and then start to invest in it. In many ways I feel like I am slowly starting to realize why I am here and what my role is. For others also, not just to play the piano, make concerts and make records but also to act in a way that people may imagine, Oh I would like to do something like this or I want to lose my mind as well [laughs]. I just want to work on something fun and crazy like this and just to inspire people who you just can’t lose, you just risk things and with a lot of risk there is a big reward waiting and with the whole campaign I feel once again, this is more than just making piano music at the moment and I really like the direction that it takes. I also want to go in the direction where I think of more instruments that I want to build and find people who can help me do this. Starting from scratch and believe that even something like a Steinway could be different or beautiful or better. This is something where we as a society has lost a little bit of belief because at the moment we are thinking back too much, we are looking back to the old days, we all want to have an old record player, we want to have an old hi-fi system or an old lamp; mostly old because things back then were often better. It is no secret anymore and a lot of people know this already and we need to start to think about how we want to change this. And my little contribution is to make a piano that we believe is the best piano in the world and it doesn’t have to be old, it’s new. What we are doing now because we want to believe that we can make things better than they were and this is giving me a lot of hope and a lot of strength and I can only recommend believing and imagining that what we are doing now can be better than let’s say our father’s and mother’s and grandfather’s and grandmother’s. Have you had any other breakthroughs or discoveries with any of the other concepts in your mind and working in your studio? NF: The studio is a little bit abandoned because I am in the rehearsal room right now and my rehearsal room is full with my new instruments like this organ I was building and some mellotron. I don’t know if you know this instrument but it’s a tape for each note like thirty-five keys and each key activates a little tape running inside and I recorded my own sample banks for these three sounds, from Anne Müller on cello, Katinka Fogh Vindelev – the singer from Efterklang on the choir sound – and Ruth Velten on saxophone, so three wonderful girls played their beautiful instruments and I recorded them on tape and made a mellotron out of it. And then there’s the pipe organ which has fifty-six reed pipes like a proper church organ but mobile so you can bring it on tour and then there is a lot more new instruments that we are making new works and making new sounds. I feel like I’m just starting now. I feel like I’m fully developed now [laughs] and now I really get the results I was always going for and looking for. It is a beautiful experience and 2015 is already a really good year and promising and I’m sure we’ll have a lot of fun. It’s very exciting to hear of all these extra new instruments and sounds. It feels like you have this complete canvas to work from and no limit to the scope of your projects. NF: Yeah there are totally different colours to work with, almost like you worked in black and white before and now you have blue, red and green and it gives you so many new pictures to paint with that, it’s fantastic. And I’m only just exploring and this also what I love about the tour is that it’s also crazy because you have all these old instruments which are old and fragile and could break on the tour so I have to bring technicians to repair them and we have to make a crazy production plan to make the show happen and this is already so demanding and a little too far. But on the other hand, I’m making music which is not released yet but I’m making the tour so I get better at these songs. I will start in Copenhagen with the first show, the first will be more like trying and looking and probably also making more failures but also really giving everything to make it work and to have a lot of charm and character. And in the end after six weeks of playing it every day, I will slowly refine my ideas and when I come home, I have the rest of the year off to make a record out of these new experiences and so I will have a lot of time to practice before I go to the studio and I think this way makes much more sense than making the record first and then going on tour. It’s like that classic way of testing out new songs and the idea of road testing the new material. NF: Exactly like you would make a small club tour first, then make the record and then you play the big rooms. [laughs] I wish I had a small club tour first but unfortunately I’m playing the big rooms [laughs] from the very beginning. So it will be an absolutely unpredictable experience and I’m very curious. But I think that’s fundamentally the most inspiring part. As you mention the unpredictability, but for any live performance, I feel the audience reacts completely when you know it’s something that’s very much there in the moment as opposed to just someone going through the motions. NF: Yes, I think that too. I wonder if you had time to listen to any new records in the last while? NF: Not really I must admit since I’m in this creative phase, I’ve stopped listening to music really. I just want to be in this bubble. In the car, I listen to talk radio and when I’m home I’m not listening to anything. It can be very irritating to be listening to too much music when you’re trying to hear your own songs but what I just got from a friend is ninety unreleased Boards of Canada tracks which I didn’t have. They don’t say if they really did it or not but you obviously hear it and I’m such a big fan of theirs. When I listen to something at the moment I’m listening to a big, big pool of great little songs. 2013 marked the fifth anniversary of the London-based record label Erased Tapes. For the last five years the label have introduced to the world some of the most innovative and original artists making music today. To mark their fifth anniversary, the label released a very special limited edition vinyl box-set last year – the ‘Erased Tapes V Collection’ – which includes previously unreleased recordings by it’s extensive roster of musicians. Last year marked the fifth anniversary of the hugely influential record label Erased Tapes. It is amazing to think that in such a short space of time the label has released some of the most ground-breaking and vital music of recent times, with recordings by artists such as Peter Broderick, Nils Frahm, Ólafur Arnalds and A Winged Victory For The Sullen, amongst many others. Fittingly, on their anniversary year, the label released ‘Corollaries’, the new album by legendary pianist Lubomyr Melnyk, whose pioneering Continuous Music has inspired a generation of musicians. In the same year, Frahm’s highly-anticipated live record ‘Spaces’ documents and effectively captures the pulsating energy of the Berlin composer’s utterly transcendent live shows. 2013 also saw the release of London-based singer-songwriter Douglas Dare’s debut E.P. 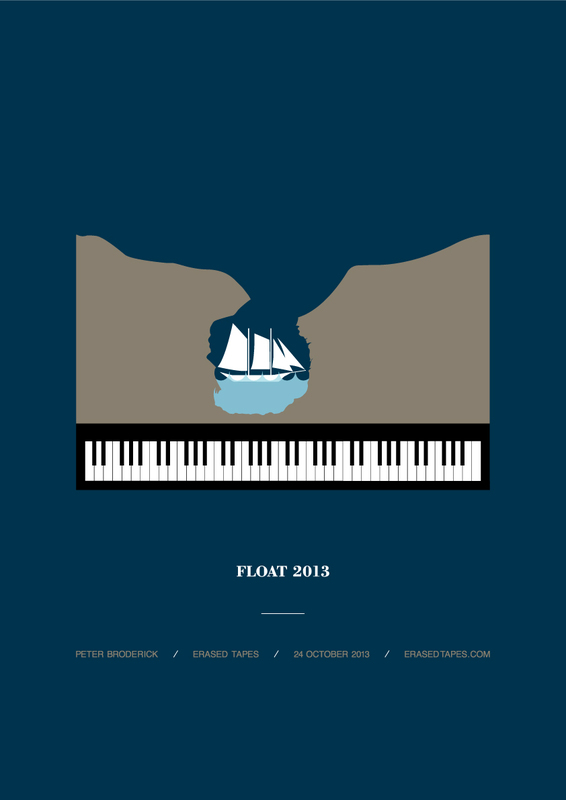 ‘Seven Hours’ and Peter Broderick’s ‘Float 2013’, newly remastered by Nils Frahm. The box set features exclusive, previously unreleased recordings made by the label’s incredible roster of artists. What makes it all the more exclusive is the fact that the compilation wouldn’t be digitally available until the end of the year (24th December, 2013 to be precise). A must have for music-lovers everywhere. The lovingly assembled and designed box-set (designed by Torsten Posselt at FELD Berlin) is dedicated to its beloved audience – the early Erased Tapes music explorer. I look forward immensely to the next five years as the roster of gifted talents continue to journey into new and unknown horizons of possibilities and wonderment. The first 7″ contains the electronic wizardry of Rival Consoles (‘Daddy’ feat. Peter Broderick) and Kiasmos’ euphoric minimal techno soundscapes (‘Driven’). Ryan Lee West AKA Rival Consoles creates beguiling electronic creations that encloses an organic sound within the artist’s minimal analogue framework. ‘Daddy’ is a haven of electronic bleeps and glitches that conjures up the sound of German electronic music and the indie-electronic sounds of B. Fleichsmann’s Morr Music output. The opening notes of lazer-guided synths drives the moonlight ballad into a late-night tale of inner-contemplation and reflection. The addition of Broderick’s vocals heightens the track’s exploratory dimension. The vocal shifts in register and loops in layers across West’s similarly evolving synth melodies. Towards the song’s close, Broderick’s fragile voice asks “Daddy, can I call myself a man now?” where the organic and synthetic are combined that traverses directly into the human space. Kiasmos is the brainchild of Ólafur Arnalds and Bloodgroup mastermind Janus Rasmussen from the Faroe Islands. The starting point usually is an electronic beat supplied by Rasmussen, that would, in turn be dissected by Arnalds and before long, a timeless melody is constructed that perfectly compliments the electronic voyage. ‘Driven’ is a killer-track that loops forever and is allowed to live and breathe, as the layers float majestically into the atmosphere. Think Holden’s ‘The Inheritors’ record as a reference point. The latest release, ‘Thrown’ E.P. contains the two stunning tracks ‘Thrown’ and ‘Wrecked’ with exclusive remixes by FaltyDL and 65daysofstatic. Berlin composer and cellist Anne Müller’s enchanting ‘Walzer für Robert’ opens up a whole new world of joyous sound that is nothing short of captivating. The intricate arrangements of cello strings is blended effortlessly with Frahm’s healing piano notes. The dancing melodies is reminiscent of Leonard Cohen’s ‘Take This Waltz’ where the listener is taken to the streets of Vienna and left to “yield to the flood” of the composition’s beauty. This piece of music represents the first glimpses of sunlight as a new day slowly unfolds with the promises of hopes, dreams and happiness. An essential record to own (and one of Erased Tapes many hidden treasures) is ‘7 fingers’ – the collaboration between the like-minded souls of Nils Frahm and Anne Müller. Having seen both artists live in various incarnations – Müller’s central presence to singer-songwriter Agnes Obel’s deeply affecting songbook, and Frahm’s solo shows – I long to witness both artists on stage together. With a new record currently being worked on in the trusted surrounds of Frahm’s Durton Studios, a follow-up will soon see the light of day. On the flip-side is new signing New World’s End Girlfriend. Hailing from Nagasaki, Kyushu, Japan, the Japanese composer creates music that seems to contain all myriads of samples and fascinating sounds. The cut ‘Bohemian Purgatory Part 2’ (N.S.K.G. version) moves between house, techno and mish-mash of doo-wop/funk, breakbeat free-jazz and classical. It’s unlike anything you have heard ever before. The Erased Tapes album ‘Seven Idiots’ represents a new and unique voice in avant-garde/contemporary music that defies categorization. World’s End Girlfriend further highlights the label’s continual strive to push the sonic envelope and explore vast plains of sound. The third 7″ represents the centerpiece to the Erased Tapes V collection. An exclusive new track by Portland-Oregon born artist, songwriter and composer, Peter Broderick is a joy to behold. ‘Give Me A Smile In 5’ offers a snapshot of Broderick’s beguiling songbook that has graced us with its presence these past several years. The opening lyrics evokes a foreboding mood, sung beneath swirling piano notes: “A fight was fought off the battlefield / Oh where is my brother, where is my brother?” The poignancy of Broderick’s songcraft and sheer emotional depth thus created leaves me endlessly dumbfounded. ‘Give Me A Smile In 5’ evolves into a dub-infused odyssey of vintage Burning Spear that adds a new dimension to the Mark Hollis-esque soundscapes (affecting harmonies, layered strings and subtle electronics) that creates an utterly timeless artistic creation. A profound sadness and openness of honesty permeates throughout the achingly beautiful lament. 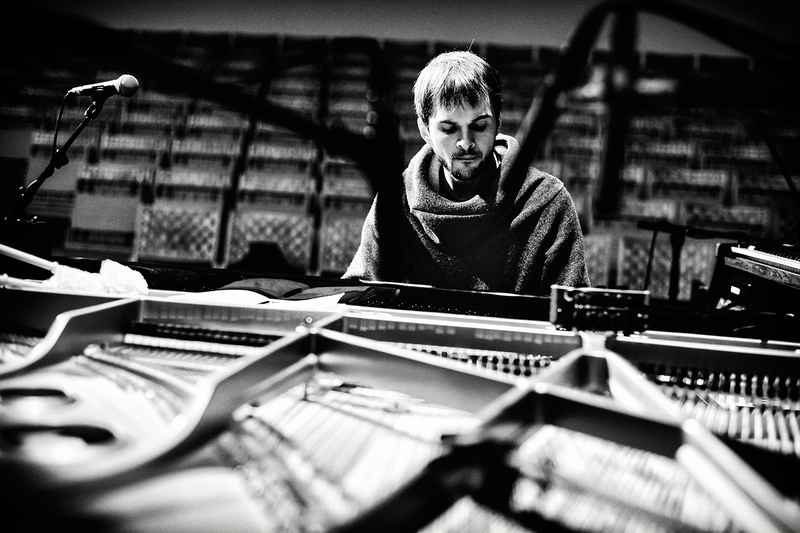 The gorgeous piano music of Nils Frahm is next. The previously unreleased ‘Little Boy In A Space Suit’ is delicately beautiful like a flower blooming in spring. Listen closely and you hear many found sounds hidden deep beneath. The soft touch of fallen leaves, sunlight pouring through a forest of trees. I’m transported to Virgina Astley’s first studio album ‘In The Gardens Where We Feel Secure’ such is the composition’s powerful magic to seep into the pools of one’s mind, and linger there, now and forever-more. One of my favourite Erased Tapes release comes from Oliveray – the collaboration between Nils and Peter – with the appropriately titled, ‘Wonder’. Released in 2011, the record has become a trusted companion and daily soundtrack for me. A wonderful sense of magic fills the space as the instrumentation of piano, violin, celeste, pump organ, guitar, voice and whistles unleashes heart-warming emotion into the surrounding stratosphere. I remember Nils one time telling me how his favourite thing in the world is the Bill Wells and Tape 12″ collaboration, entitled ‘Fugue’ (that I think was introduced to him by Peter!) It’s clearly evident upon listening to ‘Wonder’ that a similarly breathtaking sense of journey is attained here. A couple of glorious cover versions are dotted across the album; an acoustic guitar-based version of Efterklang’s ‘Harmonics’, and the Tiny Vipers song ‘Dreamer’ (written by Jesy Fortino). ‘Wonder’ is a sonic marvel that ceaselessly reveals hidden details of divine beauty. The fourth 7″ comprises ‘Hanau Bridge’ by Codes In The Clouds and The British Expeditionary Force’s ‘End Of The New End’. Hailing from Dartford, England, Codes In The Cloud create enthralling guitar-based post-rock creations, reminiscent of Scotland’s Mogwai and Texans Explosions In The Sky. The intensity of the band’s guitar instrumentals stops you immediately in your tracks. On the flip-side, The British Expeditionary Force’s ‘End Of The New End’ is a piano-based heartfelt pop voyage that recalls the experimental pop of Why? and Casiotone For The Painfully Alone. “I try to swim out the mess I’m in, I try to swim but I’m wading further in” is a lyric of the final verse that brings the indie-electronica infused ballad to a delicate close. The closing 7″ is a timeless exploration into the heart of contemporary neoclassical music. Icelandic composer Ólafur Arnalds provides a formidable creation in the form of ‘Happiness Does Not Wait’. The piano-based melody forms the central theme that soon is joined by an uplifting string section that forms the ideal counterpoint. 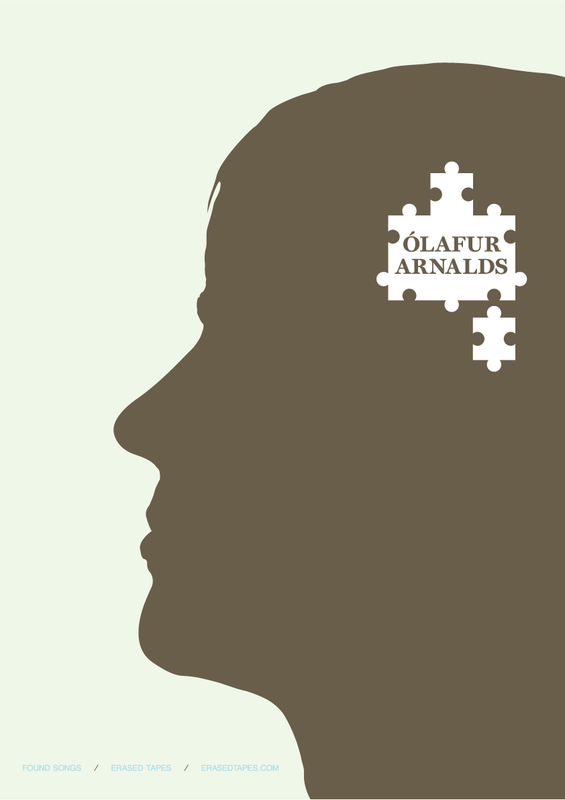 Having released a plethora of shape-shifting records on the London-based label (much like Peter Broderick), Arnalds represents one of the most compelling and distinctive voices in modern-classical music today. Arnalds’ debut album ‘Euology For Evolution’ was released back in 2007 and since then an array of indispensable efforts have seen the light of day, from ‘Found Songs’ and ‘Living Room Songs’ to 2010’s ‘…And They Have Escaped The Weight Of Darkness’ and ‘Another Happy Day’ O.S.T. The enriching Erased Tapes V collection culminates in a live performance of ‘String Quartet No. 2: III’ by A Winged Victory For The Sullen Chamber Orchestra. The Michael Nyman piece (originally taken from his recordings with The Balanescu Quartet) is wonderfully interpreted here as a gorgeous haven of windswept strings float to the surface. This performance was taken from the band’s concert in Brussels’ Ancienne Belgique as part of the label’s anniversary tour. Certainly, a piece of music as moving as this is a joyous celebration of the Erased Tapes journey so far. A Winged Victory For The Sullen is the stunning collaborative project between Stars Of The Lid founder Adam Wiltzie and L.A. composer Dustin O’Halloran. The band’s current self-titled album is one of the label’s crowning jewels and later this year will see the long-awaited follow-up. The closing note on the inner sleeve of the ‘Erased Tapes V Collection’ reads: “At the end of all music happiness will be erased.” Over these past five years, the listener and early Erased Tapes music explorer alike, are blessed to have come across such a gifted family of music-makers that have served a trusted companion to each of our endless numbered days. The limited edition box-set ‘Erased Tapes V Collection’ is available now on Erased Tapes. Five Questions with Ólafur Arnalds. (i) Favourite moment from the last 5 years? OA: It’s hard to pick one. But I think premiering ‘For Now I am Winter’ for a sold out Barbican Hall earlier this year was pretty close to the top! Not just because how great the show was for me but also because my family traveled to London for the show and it was an emotional moment for us. (ii) Most proud work to date? OA: Must not one always be proudest of his latest work? I am pretty proud of the new album anyway! (iii) A dream collaboration for you? OA: Jon Hopkins, Imogen Heap. (iv) An ambition for next 5 years? OA: Balance life and music. Or combine the two better in a way that can provide for a healthy lifestyle. And of course to make like 7 more albums and 10 more soundtracks! (v) Five words to describe Erased Tapes? OA: Love, compassion, ambition, selection and friends! Five Questions with Peter Broderick. PB: An unreleased collection of songs based on some very vivid dreams I had in 2009-2010. PB: Scoring Miranda July’s next film. PB: Spreading the love through music! Practicing my instruments, working hard to become a better musician and person. PB: dedicated, organized, visionary, passionate, loving. 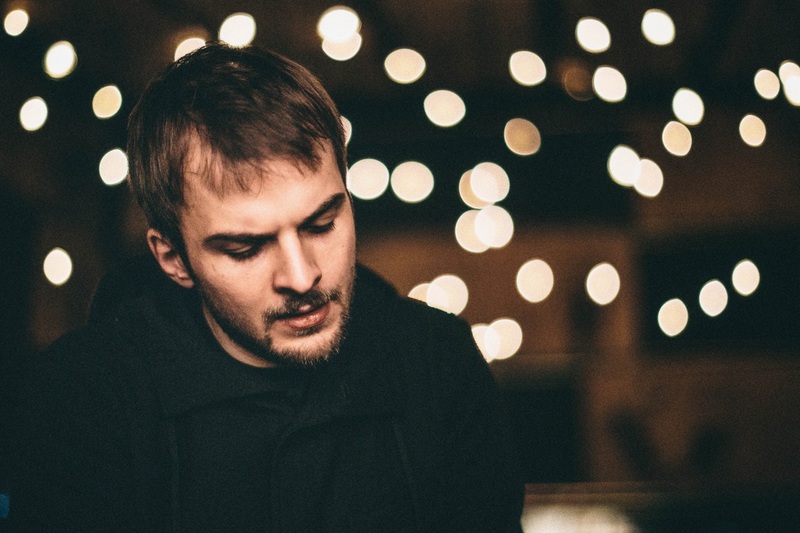 Five Questions with Nils Frahm. NF: My first big tour with Peter Broderick in 2009. NF: It is always an artists recent work, so: ‘Spaces’. NF: I will work hard on keep surprising myself. NF: All tapes will be erased. Having had the good fortune of speaking to Ukrainian pianist Lubomyr Melnyk last Spring, much of the inspiring topics (Continuous Music, Eastern philosophy, the piano and sources of inspiration) he spoke of resonates powerfully for the latest Erased Tapes release by label-mate, Nils Frahm. ‘Spaces’ is a special document of the Berlin-based composer’s other-worldly live performance that feels closer to a vast treasure of field recordings than the typical live concert album. Frahm’s singular vision and immaculate craftsmanship is etched across the sonic canvas of these stunningly beautiful twelve live recordings – culled from over thirty concerts over the last two years – creating yet another work of indispensable art. I recall Melnyk describing the art of his unique blend of ambient sound as he explained: “the space that as a musician, we go into a certain space where this music happens.” This becomes the essence of what ‘Spaces’ means for me, where Frahm’s piano and synthesizer-based compositions takes the listener on a wholly life-affirming voyage. With each delicate note of piano or ripple of synthesizer, time stands still as one feels beautifully lost in the sacred music. A moment in time is captured within the recordings of ‘Spaces’ that beautifully captures the energy and raw emotion of Frahm’s concerts. For those who have witnessed any of these remarkable shows, it is a universal fact that needs not be explained, for it is this unspoken connection between the performer and audience that permeates throughout the narrative of ‘Spaces’. Indeed, isn’t a concert a shared experience between the performer and his/her audience? As the ambient flourishes of the tour de force ‘Says’ and the utterly timeless and hypnotic ‘Said And Done’ effortlessly flow in and out of focus, the impossible becomes attainable that sees Frahm’s sonic creations effectively translated into the human space. The audience and performer become one. A central question was posed from the outset: “Is it possible or not to isolate sound recording from live concerts, put it out of context, where it has happened, and then put it in a medium where people can listen to it.” Undeniably, ‘Spaces’ conveys Frahm’s fascination with sound and love for experimentation that truly reflects what audiences have witnessed during his resolutely unique concerts. Similar to his previous solo piano works from 2009’s ‘Wintermusik’ and ‘The Bells’ to 2011’s critically-acclaimed ‘Felt’ and last year’s opus ‘Screws’ – the aesthetics of ‘Spaces’ forms the expansive sonic terrain from which the layers of tracks are built from. The dynamic range of these live recordings is something to behold, as the short interlude of dub-based odyssey ‘An Aborted Beginning’ and pulsating ‘Hammers’ are interwoven with reflective pieces such as the fragile lament ‘Went Missing’ and the windswept beauty of ‘Over There, It’s Raining’. The crowning jewel of ‘Spaces’ for me is ‘For Peter-Toilet Brushes-More’ – a gorgeous fusion of three of Frahm’s works – that are inspired by songs from ‘Juno’ and ‘Felt’. The opening section comprises a rich ebb and flow of brooding synthesizers, conjuring up the lost sounds of Laurie Spiegel, Mountains and Stars Of The Lid. The whole sense of the ambient flow of sound is distilled into the sixteen minutes of enchanting sounds. Seven minutes in, as the synths slowly drift away, the piano is utilized as a percussion instrument. 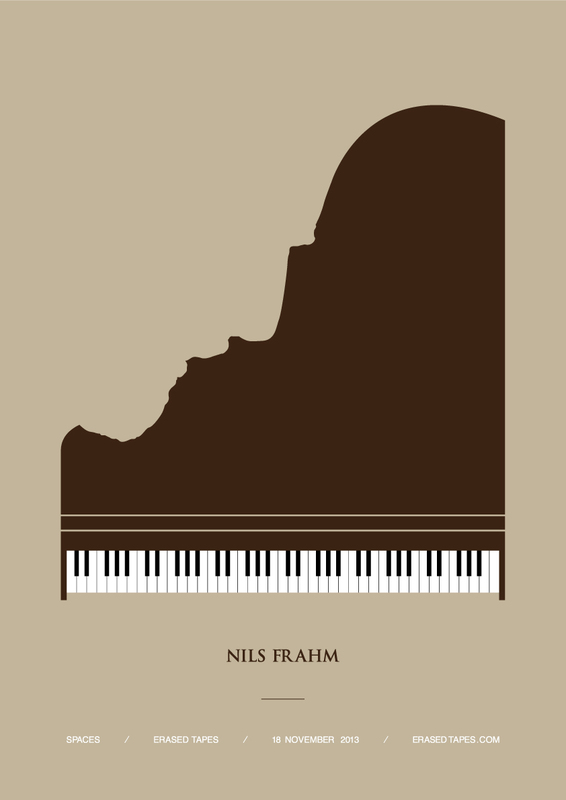 African rhythms and an infectious groove is created (I fondly remember Nils opening one of his shows with this precise piece – immediately casting a spell upon his transfixed audience) forming the ideal backdrop for Frahm’s piano. The soft notes ascends into the atmosphere, building upon layers of breathtaking sounds where a beguiling tapestry is gradually constructed before your very eyes and ears. Thirteen minutes in, a crescendo is reached as the momentum of swirling piano notes reaches new summits, as something powerful and deeply profound is unleashed into the surrounding space. In addition to extensive touring and the release of ‘Spaces’ – representing the latest chapter in Frahm’s treasured songbook – 2013 also saw the release of several records in which the German composer was responsible for producing in his trusted Durton home studio in Berlin. The first of these was Montreal-based composer and violinist Sarah Neufeld’s sprawling debut album, ‘Hero Brother’ released on Constellation Records. Next came the Dutch-born singer-songwriter Chantal Acda’s latest set of intimate torch-lit songs ‘Let Your Hands Be My Guide’ (Gizeh Records) and last but not least, the Bella Union release of Sumie’s self-titled debut album of (primarily) voice and acoustic guitar (to be released in January 2014). With all these records, a sacred dimension is tapped into, which could only be forged by Frahm’s deft touch of hand. ‘Spaces’ is available now on Erased Tapes. Welcome back home from your tour. How was Japan? You were there recently. Yeah, first New York and then Japan. And now we’re on our way to Copenhagen. Congratulations on ‘Spaces’, it’s an amazing album. It’s a really special document of your concerts. Thanks a lot. We were really happy with it. The one thing that stands out first is how the original versions, how the songs live evolve and change from the actual versions on the albums itself. It’s lovely to hear how they must be changing over time. Yeah, I think that’s the really, really interesting part to it actually. Is there a particular song you included on the album that is the one you’re most proud of? Well, I think we’re all really happy with how the second track turned out, ‘Says’. That’s a good take I think. Yeah, it’s amazing. And I love how all the instruments that you have at your disposal – the syntheziser, the piano – it blends together so amazingly too. It develops so well. Yeah, I think it’s a nice way to include some more electronics to the music and people really respond well to that. You know the synthesizer itself, Nils, is that an instrument you got into after the piano? I have that particular synthesizer since I was 14 years old so it’s always been in my collection. I made a lot of electronic music before I started working on the piano. I think I’ve been touring with the synth for 2 years now. Maybe sometimes when I was playing Ireland, I didn’t bring it because it was always too heavy but now I found a way how to bring that stuff on the plane so it became a part of the show. My favourite at the moment is the eighth song, ‘For Peter-Toilet Brushes-More’. I suppose it’s a fusion of the three tracks and I love how it’s contained in the one flow of music. It works really amazingly. Yeah, that’s an epic song for sure. That’s usually the song I’m closing the set with. Yeah, it’s kind of developed over time. You know ‘Ross’s Harmonium’ as well, I love the liner notes with your essay on the sleeve of ‘Spaces’, where you outline all the variables – depending on the space, the environment you find yourself in on that day. For example, ‘Ross’s Harmonium’, I love how you mention it’s an artist who welcomed you to play on his harmonium. So I guess that was an improvisation? Yeah, exactly. I try to include as many happy accidents as possible and record it on tape. That was my little piece, I thought it would be nice to add a bit of colour to the album. And I love the dub song, the opener to the album. That was more like a happy accident. Is that something you might do more of? I don’t know. It’s just a way to start the album, to confuse everyone a little bit. Also to make sure people set their volume right for the record because the second song starts at low volume because people would have to turn up their stereo too much. So I needed a very loud short bit to open the record with so people would have the record on with nice volume and that was the purpose of that song. It was really interesting to read how there were different recording mediums you were using to capture all your concerts. The variation from the more professional set-up to a simple cassette deck. That must have been a nice process. I mean you had 30 or so shows, so it must have been quite a process to pick out the right ones from these sources? Yeah, sometimes I recorded the shows with different recorders simultaneously and I choose the right tone or the right sound or the right medium for the take and it was hard to make a running order out of all the different media because sometimes when you have a tape recorder there is a lot of hiss without people noticing it cut, so the transition is something I had to work on a lot. It was a nice puzzle, for sure. For any fan that has seen you live and for the people who have not had the fortune to see you in concert yet, it’s a lovely way to bring you back to one of your shows. You really feel that energy as you listen to the record itself. Yeah, that was one of the hardest parts to translate the energy from a room where all the people are in the room – to record and capture something little more than just music where you feel you’re part of something. And yeah, it worked out, I’m happy. That’s good to hear. Again, on your liner notes, it was cool to read how you see it more like a field recording. It’s obvious it’s not a typical live record, for example you know where 80% of the record is the new album. For this, it’s more an experiment than anything. It was, definitely. I had the feeling I wanted to try to make something special out of this live set and then to not only record one show and go with that because I feel like if I had done it more like putting it online for free, you know like film one concert and label it as a feature or gimmick. In order to make it like a real album and to give it a feel of an album rather than just to record a concert. Because one recorded concert feels like we’re selling out already, like there is no more albums to come so put out the live record or something like that. The world’s not crazy about that but more about recording all these pieces live which I love to have part of the album. The concert is an ideal situation to record them, to include the audience energy you were talking about into the recording, something you can’t really create in a studio. It’s interesting too, Nils, I had the pleasure to interview Lubomyr Melnyk earlier in the year and obviously you collaborated closely with him on his latest record. But you know, from what he was saying about the continuous music and I remember he was talking about music as much as Zen and philosophy in the sense of you know, being in that right moment. It’s obvious listening to your music, it must be the same situation? Some people say it’s a little like taking drugs. Maybe they mean there’s a certain almost…maybe some people call it like a spiritual element to the music where people kind of get lost in it and think it’s something and they go on a journey while listening to it. And that’s why some of the pieces are sometimes really long, you have time to get into that certain state of mind where you can listen distantly you know, come from a different perspective. I was reading recently a book you’re probably already familiar with, by John Cage. It’s a book on lectures and essays called ‘Silence’. He talks about music but also philosophy and the mental aspect of music and performance. But you know, after seeing you live it’s fascinating when I see how many dates – you’re playing so many concerts – the energy, both physical and mental – it must take a lot out of you. Yeah, it’s a little bit like that but it also gives the energy in the same way, as much as it is exhausting, it is also something which you gain in the same time. Another thing that’s fascinating is that for the performance itself, you use what you have at your disposal and it’s all in real time. It’s beautiful, you know like what you said that accidents can happen during the show itself as well. Can you recall a moment where you have created something new or an older song where you realize now it’s going in a new direction or following a new path? Yeah, I mean I feel like there are so many different ideas. Some songs are connected – for example, the solo piano song – they follow a certain ideal and there are other songs, for example, the more synthesizer driven ones which go in a total different direction but I feel like they are still connected because they appear different when they, for example the piano songs are in contrast to the more loud songs of synthesizer. The contrast helps both to stand out more. The solo piano songs feel even quieter and the loud songs feel even louder or more powerful. I contrast them like that so it’s about pretty much creating a certain dynamic in my live set and it always maintains a certain energy where people feel they’re totally sucked into something and they can’t escape it. When there’s like ten minutes of really, really quietness, it’s good to play something really loud to refreshen your ears and brain. I mean I feel it even when I play certain times with a long beginning with one note repeating, it usually is a good way to make everyone really curious, like what the hell is going on – people who have heard the song don’t know what I’m doing there – and they get so maybe upset, annoyed or at least they wonder, you know. That’s all I want to do, it’s not really about the musical concept but what it does to the listener. So throughout the album, it’s mostly about that, it’s a little bit like translating music into psychology and the other way around and to see how to structure that where people feel they can’t escape the experience, they want to be part of it and really want to know what’s coming next. They feel like anything’s possible. I’m working on that basically. That’s exactly how I’d describe it if I could. You do definitely get lost in the music like it’s very much a journey. Yeah, that’s exactly what I want. One other thing Nils that you were touching on earlier, the whole thing of releases. For yourself and any important artists, you know each release is a very special document as well. For example, to have it on vinyl and you know it’s going to be there for years to come, you know it’s not something you just throw out haphazardly. Even, you know having your essay inside and the artwork and photography, you know it’s very special, like a new chapter. I’m sure this aspect and seeing your music now – there’s a few great albums under your belt – it must be nice to think that you have a series of special records to your name. I think that each record tells a little story beside the concert, they all document, they all have a narrative element to them. ‘Screws’ tells the story about an injury, ‘Felt’ tells the story about the recording process and chance, and my neighbours basically, ‘The Bells’ was a recording about two friends improvising two nights in a church, and ‘Wintermusik’ was a gift for my family. I wonder Nils do you have any ideas or thoughts on the next chapters in terms of the narrative? I’m working on all kinds of different ideas right now. I’m still recording solo piano material but I’m also working more with synthesizer and I’m also interested in doing something with a conductor named Andre De Ridder, that’s something I’m doing some sketches for now. Ideally, I work on three different albums at the same time and which one feels the strongest and which one is the most exciting. There are a lot of recordings in my hard drive which aren’t released and usually I feel they don’t really have strong enough of a story to it, you know the music is interesting. But usually when I’m working on a record there is a point where I feel like this is something I want to do now and until that point, I’m just working, working on the music, recording, recording more until I can see the bigger picture. Even as you say, Nils, outside of your own releases this year alone, I love the albums that you were involved on the production. For example the Chantal Acda album ‘Let Your Hands Be My Guide’ was amazing. Oh thank you, yeah that’s a great album. I wonder is this in your Durton studio when you’re producing this music? That was Durton studio, yeah. That was my place. I love how this album and Sarah Neufeld and also the Sumie record, I love how it’s obviously their own sound but at the same time, there is a lovely kind of hidden dimension in all of them, there’s a similar ambience and intimacy, it’s really quite something. Yeah, I think that’s my handwriting probably. It’s not to over do it because originality of the artist I’m working with should be in the focus but it’s just the way the sound turns out when I work on it. Do you have any techniques you would use almost religiously, like that you would have some rules nearly that would guide you or does it not really work like that? Well, usually I want to work in a certain tempo. The recordings you mentioned were done in not more than seven days. But I think a good album needs to be done rather fast. It needs to be prepared well. You shouldn’t be tired of the songs by the point when you’re finishing them. And I worked on other albums that took many more days to make them and then something gets lost – the exhausting process of fiddling too much – so I’d like to kind of work fast. As you say, you always have multiple things going on at the same time, even as I read the track list to ‘Spaces’ it’s lovely to see how all the different projects feed into one other. It must be healthy to have all these projects on the go at the same time. I mean at the end it’s all one. For me it’s quite connected but there could also be different elements joining in the future. For example, like I said that I want to work with other players to go away from just solo playing and share a stage and studio with other musicians and that could be a whole different chapter again. Now, there’s so many solo albums of mine and I would like to see what would happen if I played with other musicians, for example. That could be something. That sounds amazing. Would you have people in mind? I mean it’s weird if they read about it before I talk to them but I have a long list of musicians I’m listening to at the moment who I think could be interesting. But it could also more be people from the classical music world. Right now I’m really interested more in choir music and vocal music. So maybe I will work on something like that. But it’s too early to really say this is a plan, it’s just ideas floating around. I loved your release a few years ago with Anne Müller. Oh yeah, we’re working on a second album right now. Oh wow, is that cello and piano being the main focus? The main focus and added there is also some singing and more electronic elements to it. It’s really promising material. So I hope I can finish it in the next year sometime. I remember you were telling me before about the new piano you got at the time, you were saying how you never came across one before like it. Yeah, it’s fantastic, really fantastic. I just hadn’t much time to record on it but I’ve got a couple of pieces recorded on this which is beautiful, it’s more like sophisticated felt sound. It goes in a similar direction but it sounds almost more polished in a more interesting way. It sounds like a cross between a harp and a piano and the guitar sometimes. Yeah, it’s a fantastic instrument. Well thanks so much for talking to me. Well done again on ‘Spaces’, it’s amazing to hear all your related releases from this year. Oh thanks so much, it’s good to hear. That means a lot. I hope to see you on tour next year. Yeah, we definitely need to come to Ireland again. It’s funny, I remember the Unitarian Church and being in the background for your soundcheck, it was really quite something. We need to make a proper show because I haven’t really played a full set in Ireland yet and we’re definitely coming back with a full set-up. Danish composer Agnes Obel returns this year with the sublime ‘Aventine’, three years on since her award-winning debut ‘Philharmonics’ propelled her to international recognition. Obel also makes her much-anticipated return to Irish shores when she performs at Dublin’s Vicar Street on Wednesday 23 October. Three years have passed since the arrival of the universally acclaimed debut album ‘Philharmonics’ by Danish singer-songwriter Agnes Obel. The enchanting piano melodies of Obel conjured up a stirring beauty – that as the seasons since come and passed – has never ceased to fade from the embers of our existence. The central narrative to ‘Philharmonics’ were concerned with themes such as life’s fragility, hope, fear, loneliness and the record in turn, became a source of infinite solace. Songs such as ‘Riverside’, ‘Brother Sparrow’, ‘Close Watch’ and album closer ‘On Powdered Ground’ are each steeped in magical wonder and unknown dimensions – a reliable constant for any composition crafted by Obel – that are at the same time, calm and powerful, much like the piano works of Erik Satie. Music for deep reflections. Music to truly find yourself (as the layers of interwoven strings and captivating melodies awaken your senses and heightens all that surrounds you). Is it any wonder that Obel’s debut album – a life’s work – sold almost half a million copies to date, having gone quintuple platinum in her native Denmark? Sometimes, music as resolutely special, vividly real and deeply touching as ‘Philharmonics’, gets its deserved recognition and attention. It is no surprise then that the follow-up, ‘Aventine’, sees the musician, piano composer and songwriter achieve altogether new levels of sonic radiance on the gorgeously vast expanses of art’s endless possibilities. ‘Aventine’ was written, recorded, produced and arranged by Obel from early 2012 until late Spring 2013, at home in Berlin and in a rented drum studio. Songs such as ‘Fuel To Fire’ and ‘Smoke And Mirrors’ were performed by Obel and her live band, during the ‘Philharmonics’ tour that proved some of the many utterly transcendent moments of the breathtaking live performance. What strikes me immediately about ‘Aventine’ is the space and added dimensions that are beautifully embedded deep into the song’s core. 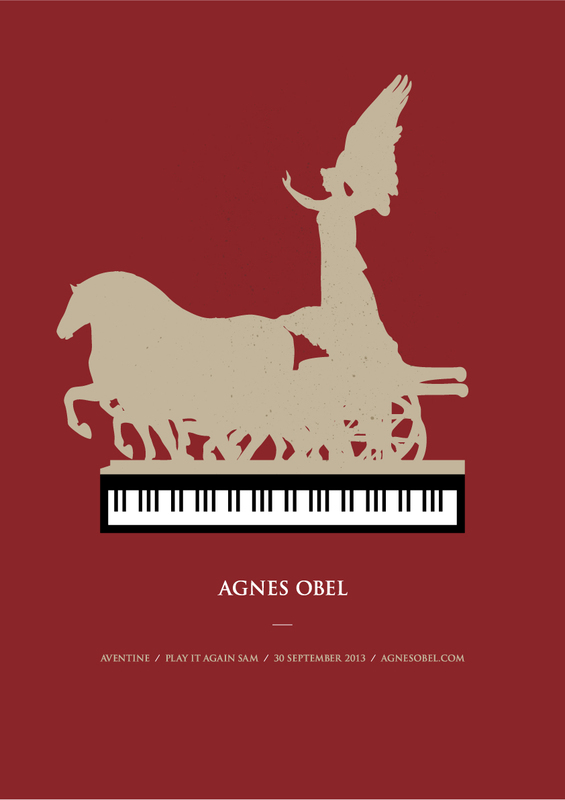 As ever, Obel’s beguiling vocals and piano serves the blood flow to ‘Aventine’s timeless journey. The layers of strings (viola, cello, violin) provide the perfect counterpoint. A deep musical telepathy exists between Obel and her entrusted ensemble of musicians, not least Anne Müller’s intricate harmonies and illuminating cello, whose bowed strings penetrates magnificently through the abyss of darkness. Similar to ‘Philharmonics’, a wonderful use of instrumental tracks are placed in the album, offering silences between the deeply affecting fables of ‘Fuel To Fire’, ‘The Curse’ and ‘Words Are Dead’. From the opening fragile piano notes of instrumental ‘Chord Left’, one immediately feels the closeness and intimacy of the artistic creations, for this is the crowning jewel of Obel’s work. The title-track ‘Aventine’ contains majestic pizzicato strings, looped over Obel’s voice and piano as she sings on the opening verse: “There is a grove, there is a plot / Deep in the snow, breaking your heart.” The songs come from somewhere deep and vividly real, as Obel’s artistry ceaselessly marries “the wave and the tide”. The impact of which is profound. An everlasting imprint is forged from the depths of the underground to the vast blue skies above. ‘Words Are Dead’ is perhaps my current favourite. For me, it’s the sound of spring; a new beginning, where the dawning of a new day is laid out before your very eyes. The refrain of “Oh, don’t cry for me” is one of the defining moments of ‘Aventine’. The harmonies and strings coalesce effortlessly forming a wholly shape-shifting soundscape. The light of hope shines forth from the pain and sadness, resulting in something astonishingly cathartic. ‘Dorian’ is an achingly beautiful lament as Obel sings “Dorian, carry on / Will you come along to the end” on the song’s chorus. The hunger to live permeates from the embers of an inner flame. The towering hills of Aventine is a sight to behold. ‘Aventine’ is one of those rare treasures to truly relinquish in. ‘Aventine’s riches of songwriting prowess and sweeping landscapes of soul-stirring sound represents another wave of a miracle. It’s lovely to talk to you because I’m a huge fan of your music. I’ve been listening to the new album ‘Aventine’ a lot lately and it’s even better again than the debut album ‘Philharmonics’. It’s really a wonderful achievement for yourself as a songwriter and musician. Thank you very much. I am very happy to hear that. I love the title. I suppose ‘Aventine’ is a reference to the hill in Ancient Rome, one of the seven hills? Yeah, it’s actually just a song on the album, which I tried to describe how it is to work, sort of, intuitively, where you are left in the dark. You don’t have it formulated conceptually before you have started – like something you feel is an idea – and you just have to trust your intuition and see what comes out of it. And this way of working, I like very much, the idea that it grows in itself just like a creature. I wanted to describe that and then Aventine was a nice place [to] be the sort of place you were going to when you’re working like that. In terms of the music too, Agnes, I love again how there is a big progression, where for example there are many more interludes and more, you know, dimensions in the songs. For example ‘Words Are Dead’ – it’s my favourite at the moment – I love how there is a short piano interlude on the outro. There’s a lot of new layers to your songs. Yeah, I’m really happy that you feel like that. That’s exactly what I was thinking too. I wanted to continue what I started with ‘Philharmonics’ and the songs there, and I could explore a bit more. Although I’ve been playing a lot with Philharmonics live, and I really realized that it would be interesting. Some of the songs have other interesting aspects to them when they are played instrumental, those that are without singing. So, I wanted to combine the two worlds in a way. I’ve seen you in concert a few times before in Ireland – in Galway and also supporting Fleet Foxes in Cork – it’s amazing just to witness the performance that’s happening before you. Obviously there is this deep connection between yourself and cellist Anne Müller. I would love for you to talk a bit about her and how you met and stuff, you’re obviously good friends for a long time. Yeah, that’s correct. I got to know Anne four years ago because I was looking for a cellist who could sing, and a friend of mine was involved in another project. I had already recorded all of ‘Philharmonics’ and that was recorded with three different cello players, and they were all great. But it was very obvious as soon as Anne and I started to play together that we both liked each other personally, and we had very good chemistry going on, musically and personally, and it’s sort of grown, you know, because we’re traveling so much together. The more we play together, the more we travel together, the more we build this sort of symbiosis thing where we don’t really have to talk about things. It’s just obvious [laughs]. It’s just how it is and she’s really lovely and she’s really really interesting to work with. She’s like me, she’s also very interested in recording her instrument and we’re always trying to experiment a bit. And she’s very open to experimenting things in the music, but also with her instrument and how to use it. It’s really inspiring to know her. As you say as well Agnes, I can imagine that recording must be a lovely process to be able to do, when you’re in your own space. I wonder for this album where there new techniques or new things, you know that you were doing differently, this time around to try out new things? Well, first of all, I could afford to buy some new equipment, so I was using this, and I was also using the same equipment as ‘Philharmonics’, using new pre-amps and stuff like that. And then also, I’ve been playing around with using the cello, and also the piano, and also the wooden floor as the beat in the musical rhythm because I don’t really want to introduce drums to the songs. But I felt like the sound of wood, either instrument or in the room where everything has been recorded, sort of, work as well. So, this is very new for me to do that. I’ve been using a lot of close-miking; miking the cello up like it was a voice so it is getting this intensity and closeness and intimacy that I’m always trying to get with my own voice. And doing the same thing with the cello, putting it up there in the mix in front of everything. So, stuff like that I’ve been trying out. But there is also like, with the cello – it sounds like a theremin – and then, Col Legno – it’s like the back-side of the bow where you hit the strings – and lots of pizzicato on violin and viola mixed together. Stuff like that. Oh yes. I suppose is one example the title-track? I just love the looping of the strings, it’s this swirling ambient piece. Yeah, yeah. That was also tricky to make because it doesn’t sound so layered maybe but it’s really several layers of pizzicato which basically is playing what I’m playing with the left and right hand on my piano and then I use like a sample viola to hear how it sounds like with the strings – pizzicato viola – and then I re-recorded with cello pizzicato and violin pizzicato [laughs], sort of a long way to get there. I had to build it, sort of artificially, and re-record it and find a good way to record on the same wood, the same lightness as the piano would have. I would love to know about your piano playing and I imagine you must have started from a young age? Yes, I did. I started young but I was not very disciplined. I’ve never been good at rehearsing for the sake of rehearsing, but I was lucky to learn the instrument early. It’s sort of always been there – the piano – at least for me. So in that way, I don’t really think about it, it’s sort of an extension of me. When I have an idea, it’s the easiest way to get it out. But I don’t feel as a classical, solo instrumentalist, like I’ve been doing nothing else. I’ve been doing a lot of other things, mainly working in the sort of rhythmical, rock-pop area of music. That sounds lovely as there is that intuitive sense in your music. Like any other good albums that I love, like Nils Frahm for example – obviously there’s so much out there – you just know it’s kind of, an effortless process, there’s no forcing it. Yeah. I really believe in that. I think it’s very good when you don’t think about doing it but you’re following. It’s a very good place to be when you have a flow feeling, playing around and suddenly you have a song. I like this way, when it’s like that, and I think it becomes better like that. I’m not sure, maybe it’s all inconsequential really. Press the lemon as we say in Danish [laughs], if that makes sense. I wonder, Agnes, do you have any favourite albums that you may have been listening to a lot in the last few months? Well, we’ve been listening to so much Ennio Morricone lately. It’s a vinyl from a friend of ours so it doesn’t even exist, but now we’ve just recorded the vinyl over to digital so we could have it, listening to it on tour. It’s a soundtrack from an Italian film he made in the sixties. And then we’ve been listening to Eden Ahbez. Do you know him? Oh, yes, it’s funny my brother introduced me to him. It’s a reissue, I think he only ever had one album? Yeah, yeah exactly. ‘Eden’s Island’, he made that one, and I think that’s the only one he made, unfortunately. I know. It’s a lovely album isn’t it. A really interesting story too. Yeah, totally. He was like a psychedelic idealist who didn’t want to be part of society. Romantic or something. Do you know the story? Yeah, I read it in the liner notes, I think that’s with the album. I couldn’t believe, it was like a Hollywood script. Well, thanks very much for the interview. It was lovely to talk to you. Yeah, it was lovely to talk to you too. See you in Dublin. Agnes Obel performs at Vicar Street, Dublin on Wednesday 23 October. Tickets here. ‘Aventine’ is available now on PIAS Recordings. A collaboration between two gifted musicians; Francesconi’s immaculate acoustic guitar playing and his partner Peart’s beautiful violin. Francesconi is also a key member of Joanna Newsom’s band and his own solo LP ‘Parables’ is among the finest albums of recent years. ‘Road to Palios’ is a life-changing journey. This gem was put out a few years back by Berlin-based label Erased Tapes and continues to reveal more with every single listen. A stunning collaboration between Nils Frahm and Peter Broderick (Olive and Ray are the authors’ middle names) includes two incredible covers, of Tiny Vipers (‘Dreamer’) and Efterklang (‘Harmonics’). Cheval Sombre is the pseudonym for New York-based Christopher Porpora, a poet-turned-musician whose debut self-titled lp was released in 2009. Cheval Sombre’s ‘Mad Love’ album was one of the hidden gems of last year. A beautiful and rewarding collection on the Sonic Cathedral label. Dubbed ‘Spiritual Jazz’, I picked up Birchall’s (a UK-based saxophonist)’Sacred Dimension’ lp somewhat by chance (via the always-trustworthy speakers of Plugd Records). ‘Sacred Dimension’ is an incredible odyssey of an album and provides a moving experience for the listener. ‘Animals Burning’ is the album-opener from this very talented Cork-based band whose debut album ‘Cardboard’ was released at the end of last year. Ambitious and complex. A Band with a very bright future indeed. I First discovered The Dodos by their ‘Visiter’ Album; a wonderful showcase of the talents of this American duo; Meric Long and Logan Kroeber. Now, on their fourth album – ‘No Color’ (Witchita Records) – the band will soon embark on a European tour supporting Tucson Arizona’s Calexico. The stunning soundtrack by Warp’s Broadcast for the equally-stunning second film by British director Peter Strickland. Like all things Warp, the soundtrack should be purchased on vinyl to get the optimum benefit of the amazing sleeve. Collaboration between Berlin-based musicians and friends; Frahm and Müller. Anne Müller’s cello is breath-taking while Frahm’s immaculate attention to detail on production duties are on full display here. Electronica and cello combine to stunning effect. Birds Of Passage ‘Highwaymen in Midnight Masks’ E.P. Birds of Passage is multi-talented New Zealand-based artist Alicia Merz. Across all her LPs to date (‘Dear And Unfamiliar’, ‘Without The World’, and current ‘Winter Lady’) her music is simply breathtaking. Also, in her stunning back-catalogue is the ‘Highwaymen in Midnight Masks’ EP. Mastering duties by Nils Frahm. The stunning debut self-titled E.P. from Tim V. Smyth and Carol Anne McGowan recalls the magic chemistry of Nancy Sinatra and Lee Hazelwood recordings, while equally reminiscient of the dark folk tales of Gillian Welch and David Rawlings. The E.P. features the incredible cover of Jeff Alexander’s ‘Come Wander With Me.’ Hidden Highways’ debut album will be released in Spring 2013 and is sure to be one of the albums of the year.